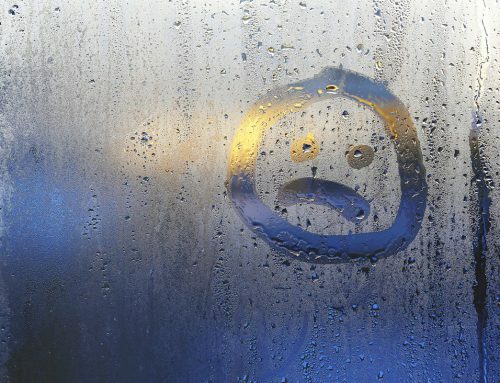 Hot and rainy Florida summers bring mold and mildew at rapid rates. One of the fastest places mold and mildew can build up is on outdoor pathways and driveways. Take a drive around your neighborhood block and you will quickly see the effects of mold and mildew on a driveway. The benefits of professional pressure washing are numerous. Why use a professional pressure washing service? Many homeowners believe that they can rent a pressure washer and get the job done themselves. The truth is, these machines are dangerous for the occasional user to operate. Additionally, many of the machines available for rent do not have the cleaning power of professional machines, meaning you’re going to be cleaning more frequently. 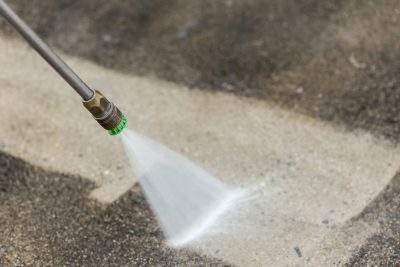 Lastly, many homeowners aren’t familiar with which chemicals to use when pressure washing, leading them to drastic problems like killing off lawns and ornamental shrubbery. 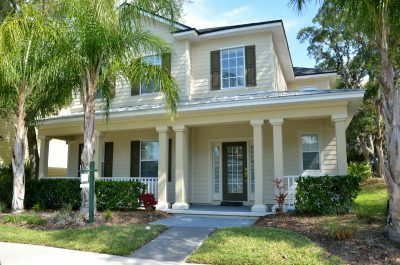 Here are the top 3 reasons you should be maintaining the exterior of your home using professional pressure washing services. 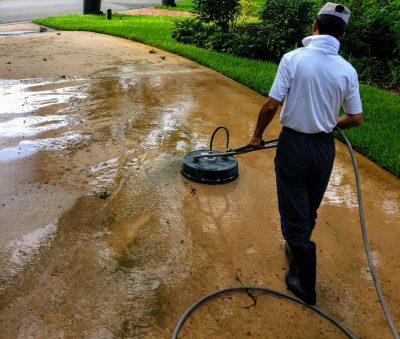 When you ask someone why they should pressure wash the exterior pathways of their home, the main— and sometimes only— reason they share is curb appeal. And truthfully, they are right. Professional pressure washing is one of the most affordable ways to spruce up the curb appeal of your home. Most realtors advise homeowners to give the exterior of their home a deep cleaning before listing it for sale. That’s because the first impression your home gives is the drive up to it. Think of the impression your driveway makes on your guests: is it a good one? 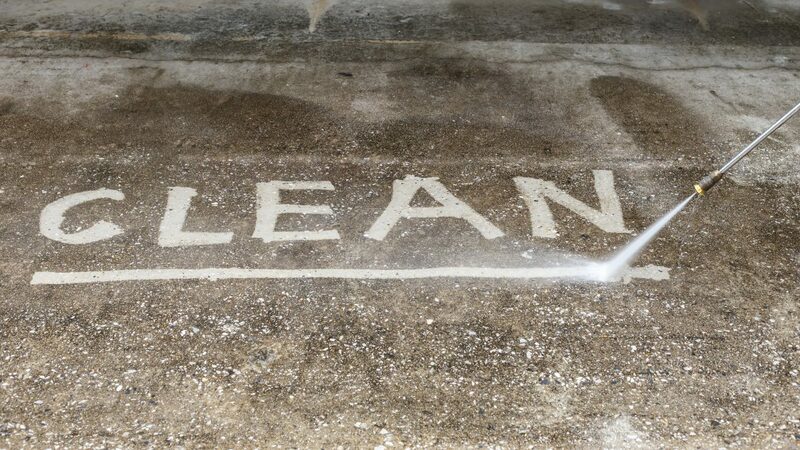 Chances are if your driveway is covered in spots of mold and mildew, your guests are noticing. 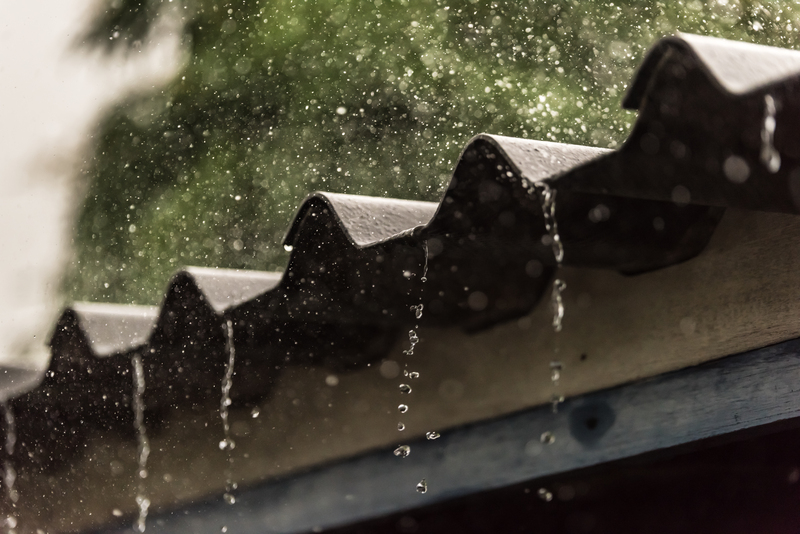 In Florida, rainy days bring the perfect environment for mold and mildew growth. If grimy muck covers your driveway and outdoor pathways, they become slick and unsafe to walk on. Moldy and mildewy pathways can cause slips and falls. Children and elderly people are especially susceptible to falling on slippery surfaces covered in mold and mildew. But it’s not just your friends and family members at risk on your property. Public service workers, postal employees, and delivery people also run the risk of slipping and falling. If it happens on your property, you are responsible. 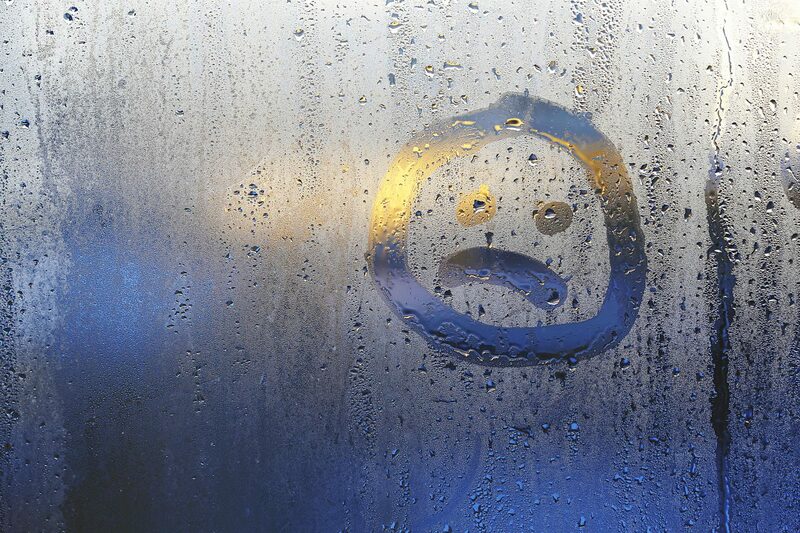 Falling on a surface that is covered in mold and mildew is a health risk on its own, but there are other risks, too. Shoes can bring mold spores inside, making the interior of your home susceptible to mold as well as the exterior. Individuals with allergies and asthma, and people with respiratory issues are at the biggest risk when coming into contact with mold spores. Ensure that your concrete and stone pathways are providing ample mold and mildew-free traction for people traveling on them by keeping them clean and free of safety hazards. 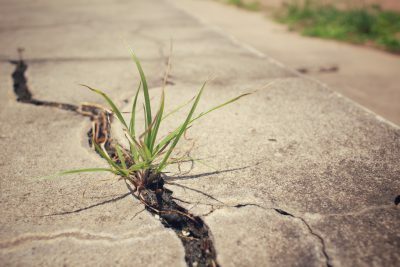 Buildup of dirt and grime on outdoor pathways can lead to cracks in pavement. This can enable growth of weeds and grass, which can continue to break apart your concrete. One of the easiest ways to prolong the life of your outdoor pathways is to schedule professional pressure washing. Regularly scheduled services can also help you to spot potential problem areas before they become actual problems. 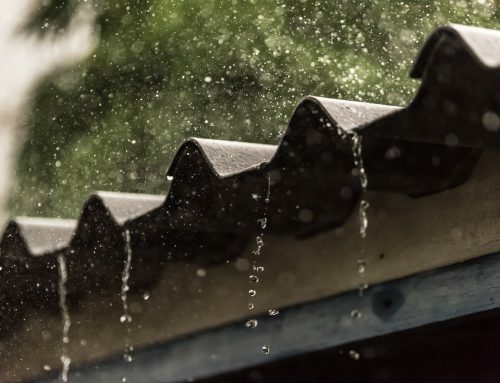 Ideally, pathways require cleaning at least once per year, but areas that are in exceptionally humid or shady spots may require more frequent cleaning. At Classic Care of America, we offer a wide range of professional pressure washing services to fit every client regardless of your needs. Whether you want to clean with chemicals or choose an earth friendly route, we can help you get the clean outdoor pathways your home deserves. 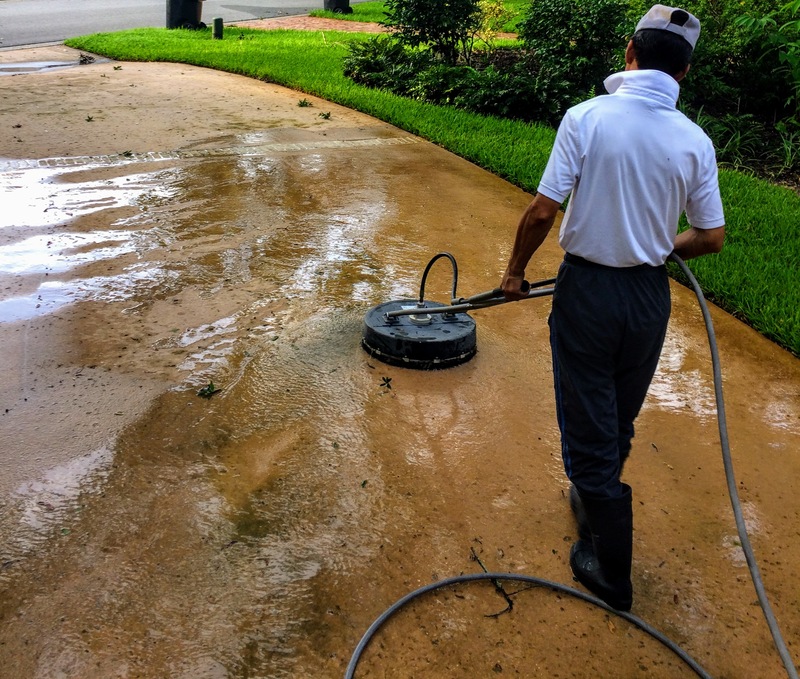 Professional pressure washing is a service that is beneficial for every homeowner in Florida— especially during the rainy summer months. Get a jumpstart on your holiday cleaning by scheduling a professional pressure washing service with us today! Schedule Your Professional Pressure Washing Now!